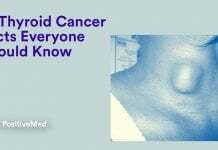 The thyroid gland is a small gland that is located just below the larynx and in front of your trachea. It is an essential part of your endocrine system and thyroid activity is responsible for regulating many functions in your body. This gland makes hormones that regulates the body’s metabolism, and there are various disorders that may happen when the thyroid doesn’t function properly. 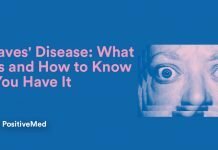 The most common thyroid issues are classified as Hyperthyroidism (too much thyroid hormones) and Hypothyroidism (not enough thyroid hormones). Triiodothyronine (T3), Tetraiodothyronine (thyroxine or T4) and finally, Calcitonin. Only Triiodothyronine (T3) and Tetraiodothyronine (thyroxine or T4) are proper thyroid hormones. Hyperthyroidism or overactive thyroid happens when the thyroid gland begins secreting too much thyroid hormones. 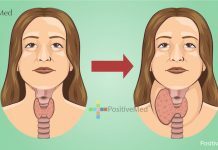 Hyperthyroidism may increase the body’s metabolism, leading to sudden weight loss, rapid or irregular heartbeat, excessive sweating, and irritability or nervousness. Hypothyroidism or under-active thyroid means that the thyroid is not producing enough of thyroid hormones. This can cause a number of health problems such as obesity, fatigue, joint pain, and heart disease.